Are you a photographer? Then this business card is perfect for you! Looks very professional with the black, white and grey colors being used. Just download the Word file for FREE, install the fonts and edit the information to your own wishes. 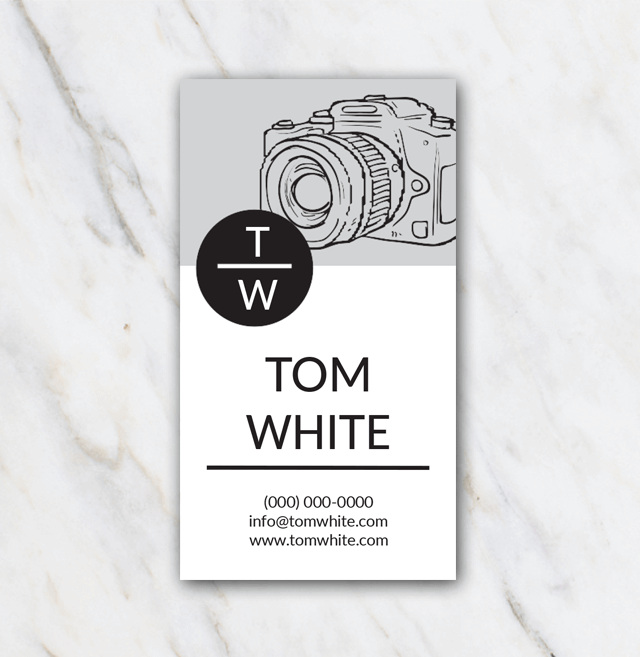 This business card is 1-sided, looking for a 2-sided business card? Have a look at the other templates offered here at Temploola.